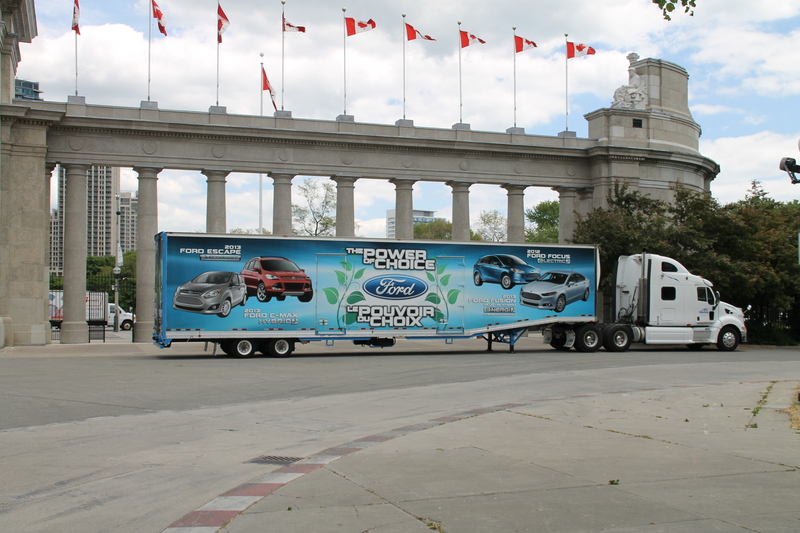 On May 31st Ford of Canada was at the Allstream Centre in downtown Toronto to offer information and test drives for the local auto press with their latest offerings of electric and fuel efficient vehicles. The Power of Choice Tour (going for the rock star image?) in Toronto was one of eight tour stops to take place across Canada through April and May; Toronto was the final stop on the tour. 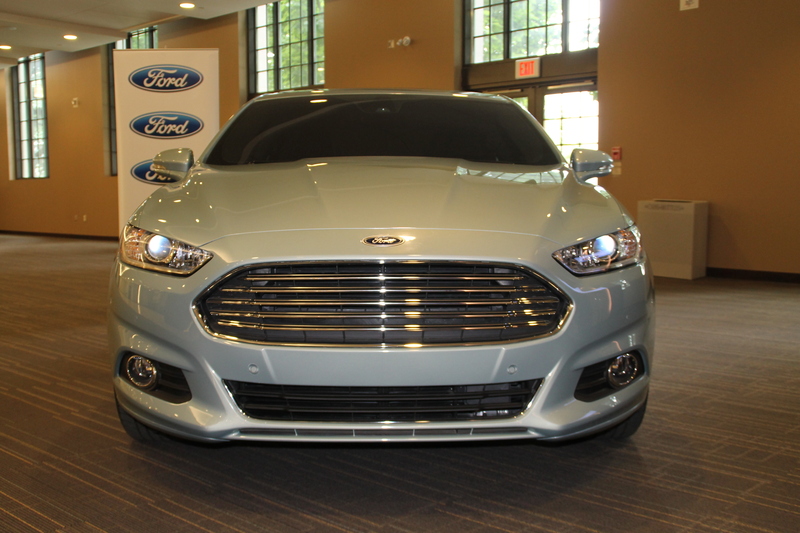 Ford presented a variety of eco-friendly engine options; from fully electric and plug-in hybrid, hybrid, to EcoBoost engines. Vehicles available for very brief trips around part of the perimeter of the CNE grounds included the Ford Focus BEV, the all new 2013 Escape , the 2012 Fusion Hybrid and on display in the foyer area of the Allstream Centre, the Aston Martin-looking 2013 Fusion – some spill over family DNA at play here? While many manufacturers are openly flirting with all-electric and electric/hybrid technology, do these vehicles ever really stand a chance in the highly competitive automotive world? The EV Ford Focus is a sharp, sub-compact vehicle that looks good, feels pretty good and for commuters that know they will never exceed a daily charge range, may be one of the preferred choices in EVs today. But realistically, without a suitable and far-reaching infrastructure (ubiquitous charging stations) in the short and long term, do EVs truly stand a chance? Of course, manufacturers have also placed a few of their eggs in the hybrid basket and here Ford is certainly not the exception. Their respective offerings makes sense, mostly have considerable curb appeal and come with an eco-feel-good aura already initiated. But listen to what Ford says of their truck engines with EcoBoost. More economical motors that provide considerably superior mileage than their once-preferred and oft revered engine of choice, the V8 – without a major sacrifice in power – specifically, torque. In fact, in the F150 line (46 years as the top selling vehicle in Canada – and counting), demand has been so strong this past year that keeping up to demand for the V6 with EcoBoost has been a daunting yet pleasant challenge. 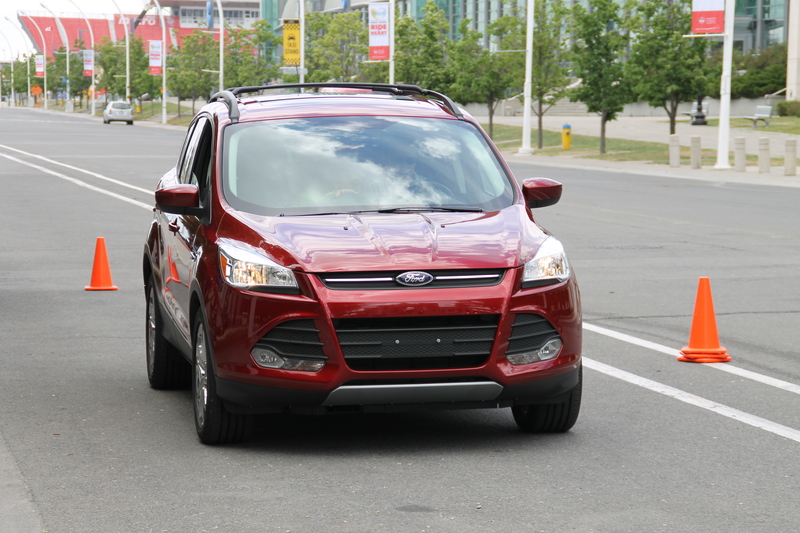 And now, Ford’s category leader, the Escape is now available with an EcoBoost engine. But here, the Ford story veers ever so slightly; EcoBoost in a four cylinder engine! An optional 1.6-litre turbocharged EcoBoost four with 178 hp and 184 lb-ft of torque is available. Coupled with self-closing grille shutters (they open for breathing at low speeds and close to reduce drag at higher speeds), the 1.6-litre engine is estimated by Ford to return 23 mpg city and 33 mpg highway – and on regular fuel. As many of us have suspected, but Ford has now begun to underline, does the future of the automotive industry lie with the internal combustion engine (ICE) – the once revered technological marvel that brought us all to this point? Perhaps. Ford anticipates making EcoBoost available in many of their product offerings over the next few years. Whether driven by gasoline or diesel fuel, as another manufacturer once said, so prophetically many years ago… tried, tested and true. Will, indeed ICE be the industry’s ‘saviour’ – even if – or as gasoline prices and demand continues to rise? Time alone will tell. Meanwhile, a canny manufacturer such as Ford, appears to have all bases pretty well covered. Refined luxury for the masses?